« What Were the Doctrines of the Early Christians? 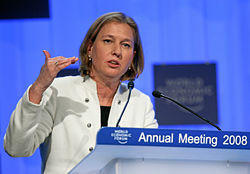 Despite American pressure this month (see Obama Gives Israel Ultimatum on Peace Deal), Tzipi Livni does not believe that Israel’s Prime Minister is serious about peace talks with the Palestinians. The reality is that despite the position of the Obama Administration, Binyamin Netanyahu came to the USA and explained to Congress why he felt his position was valid to much applause. As I have been writing for a long while, I believe that peace deals most often happen after wars or other extreme pressure. IF IRAN ATTACKS Jerusalem as it indicated it would (Iran’s Ahmadinejad to Conquer Jerusalem? ), the after affects of this may lead to a peace deal. It is also possible that because of massive international pressure, Israel may agree to a peace deal that involves international troops being stationed to “keep the peace” or that Israel may agree to a minor peace deal (it has sometimes agreed to incremental deals). Now the Bible indicates that there will be some type of temporary (seven year) peace deal (Daniel 9:27; 8:25) that will be “confirmed” by a “prince” (Daniel 9:26). But after about 3 1/2 years, the rising prince, who will then be the final King of the North will violate the deal (Daniel 9:27; 11:31) and shortly thereafter the Great Tribulation will begin (Matthew 24:15-21). When Will the Great Tribulation Begin? 2011, 2012, or 2013? Can the Great Tribulation begin today? What happens before the Great Tribulation in the “beginning of sorrows”? Why do some believe a peace deal must happen first? What happens in the Great Tribulation and the Day of the Lord? Is this the time of the Gentiles? When is the earliest that the Great Tribulation can begin? What is the Day of the Lord? Who are the 144,000? This entry was posted on Tuesday, June 21st, 2011 at 5:54 am	and is filed under Prophecy. Might Israel and the USA Get Women Leaders? Netanyahu: Peace talks not worth giving too much up–but what does the Bible teach?